Happy Monday, yall! 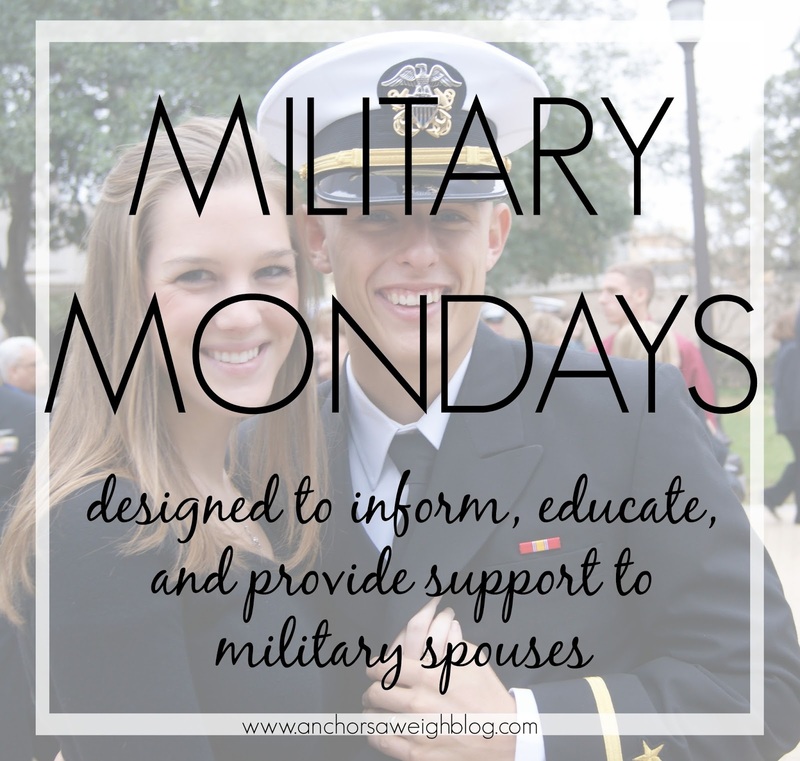 I thought I'd take today to do a Military Mondays post on a question I've been asked several times since being a military spouse: What do I wish I would have known before marrying a military man? A little backstory on Parker and me: we met when we were 18, dated all throughout college, got engaged our senior year and married the following summer. Parker was contracted to go into the Navy after college, so the moment I met him, I knew he was going to be in the military. There was no "oh my gosh, I'm going to be a military wife!" moment for me. I knew pretty quickly that I was going to marry him, and I knew he came with the military, but it never really phased me. I had no clue about military anything, but I loved Parker, so I assumed I'd just figure it out down the road. As with anything, you learn the ropes of military life as you go. I had no idea what a military move entailed, and then we did one, and now I know. I had no idea what deployment was like, and then we did one, and now I know. 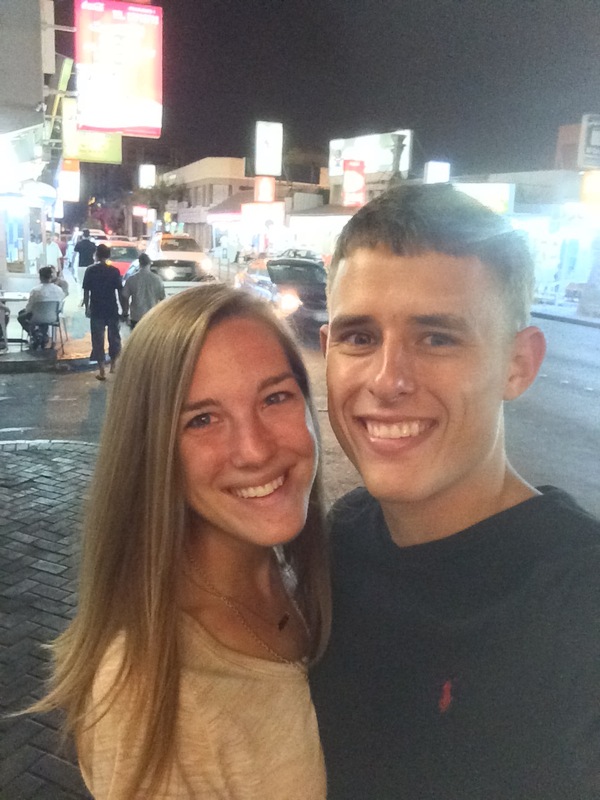 The one thing I have gradually learned more and more the last six years of military life is the one thing I wish I could have spoken with a seasoned military wife about before Parker commissioned. When you marry a military man, much of your journey will be spent on the sidelines, and it takes a decent amount of humility to be able to handle that. Here's what I mean, and I'll use Parker as an example: Parker is a pilot. He flies a cool plane, lands on a boat, and gets to see the world. He has the dream job and isn't afraid to admit it. As for me, I am the behind-the-scenes girl that keeps everything running smoothly on the home front. I keep the house in order, I do most of the child-rearing at this point, and I coordinate pretty much anything we do. I keep things running smoothly in our personal lives so he can go out there and focus on his job. At the end of the day, people want to hear about the cool mission Parker accomplished that day and not the errands I ran or meal I cooked. I don't blame them at all- I wouldn't want to hear about my errands either! The point is, many times as a military spouse, you are the one standing on the sidelines making sure all is running smoothly so they can focus on their jobs. Sometimes, it can feel like your life is taking a backseat, and sometimes, that's exactly what is happening. I think it takes a certain amount of humility to really thrive in the military spouse role, but I do think it is a really rewarding role and feel blessed to be in it. I also think it's a really important role, so next time you're feeling down or even a little isolated, remind yourself that you're helping make the military dream a reality. We are living a huge adventure, and even though my husband may be piloting said adventure (literally and figuratively), I wouldn't trade a single second. This is the good life, yall. Throwback to exploring Bahrain together this time last year! I agree with this. I've never felt that my life is on hold, I feel like we are working towards our dreams. It's pretty amazing. I absolutely love this post! It's so funny, because just the other day as I was unpacking some boxes, I was thinking a thought along this same lines... how Andy *could* have handled this PCS entirely on his own, but I made it easier on him with my lists, packing up most of the house, obsessive planning, time I took off work to handle things while he was busy clearing post, etc. It does feel like I'm in the back seat sometimes, but to quote Hana from Domesicated Combat Boots on a recent Instagram post of hers that has stuck with me for a few weeks now, "If this is taking a 'back seat', I have the best front seat ever." Thank you for sharing this point in even greater depth!